The beginning of this review will be spoiler free, followed by a quick spoiler section later on. Uncharted has come a long way since it made its debut as Drake’s Fortune on the Playstation 3 in 2007. It’s hard to believe that the Uncharted series is already almost a decade old, but with a tale as classic as the action movies that inspired it, is Uncharted still good? It is shocking even that Uncharted 4: A Thief’s End exists. Naughty Dog are known for generating a new IP with every console, but here on PS4, we have received The Last of Us Remastered and now another Uncharted sequel. I can only speculate that Sony Interactive Entertainment and Naughty Dog were playing it safe with this release to earn revenue and PS4 sales, but I got the impression from playing through A Thief’s End to completion that Naughty Dog is getting sick of Nathan Drake and his treasure hunting. That doesn’t mean that Naughty Dog doesn’t want to end the series right. Uncharted 4 features all of the characters you know and love, like Nathan, Elena, and Sully and adds new characters to join their final expedition. Sam Drake is introduced as Nathan’s long lost brother, and much of the story circles around their relationship and how paths change. Rafe plays a fantastic rival/villain. Nadine, the South African mercenary leader is a nice addition to the cast. The story here is complete Hollywood schlock, but delivered in that perfect “Hollywood” way. Through the 12-15 hour experience, you will likely see every twist coming, but it won’t make every beat any less shocking or exciting. Neil Druckmann, the creative director behind The Last of Us, reprises his role with Uncharted 4. I am personally very happy that Druckmann opted to retain the popcorn fun of the Uncharted series. This could have easily turned into a morose exploration of Nathan’s character, but Neil stuck to what makes the series pop. This doesn’t mean that no tricks were stolen from the success of The Last of Us. 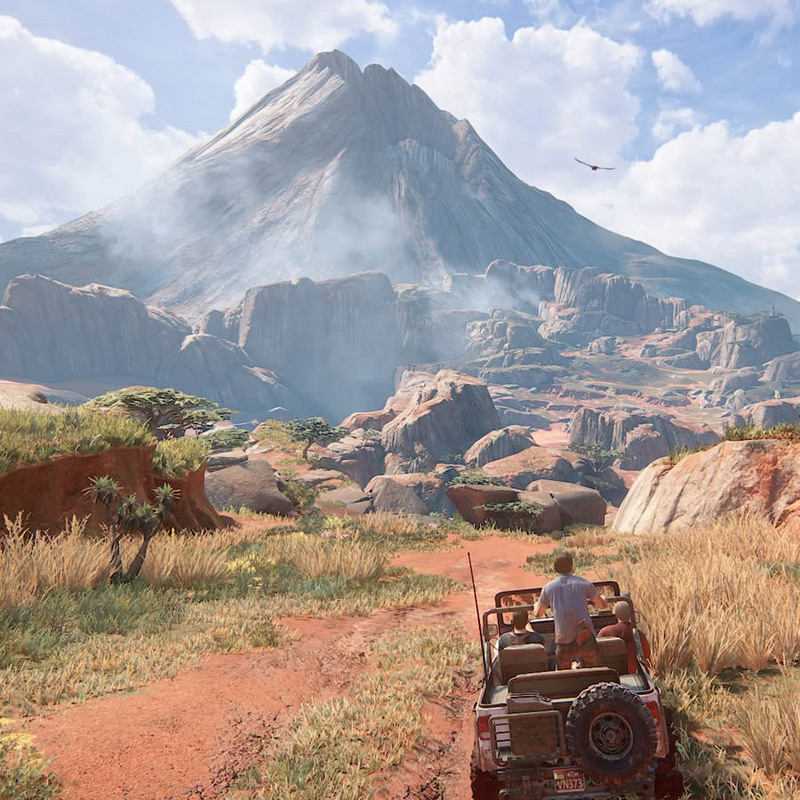 The optional conversations introduced in the aforementioned game are put to good use in Uncharted 4, and most of the story is told on the fly, while characters are moving through the environment. Pacing is also similar to The Last of Us, which is a good thing. This is not gunfight after gunfight after gunfight (though I still dislike the gunfights). Speaking of the gunfights, my belief is that the gunfights in Uncharted have always been their weakest link. I have always found them to be hard, but in a frustrating way. 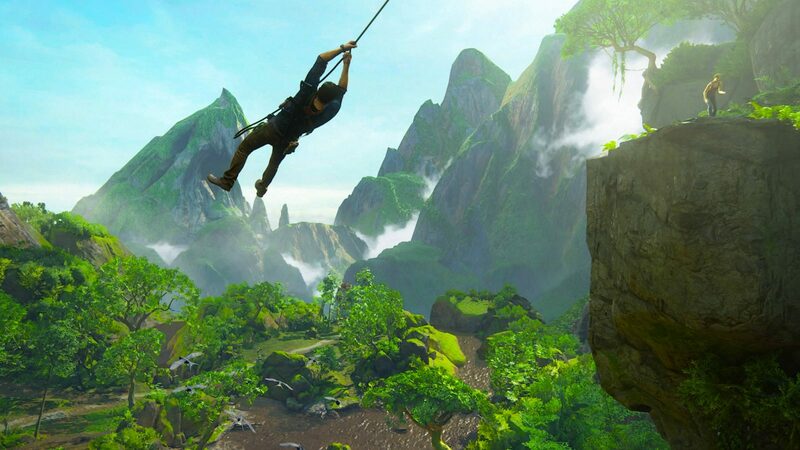 Uncharted games are designed first for exploration and interaction, and second for combat. This means that when you are in close quarters, the emphasis on grabbing ledges and sticking to different objects impacts combat movement. You will find yourself taking cover behind the wrong wall or grabbing on to a ledge, when you just wanted to jump. Uncharted 4: A Thief’s End truly does its best to provide a fun shooting environment. 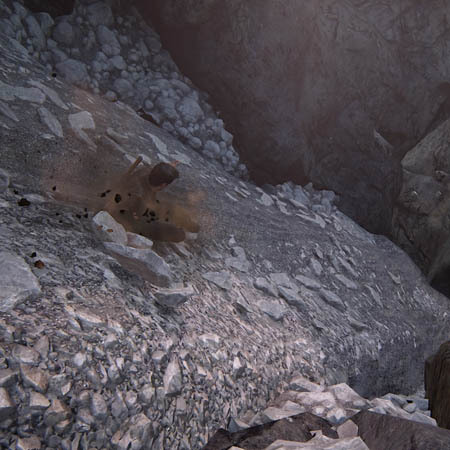 You can stealth in bushes, rope swing like Indiana Jones from various grapple points, and perform vertical takedowns. I played the game on “Hard” difficulty and found these options to not be conducive to winning. In a rare review moment, I find myself recommending that players try “Easy” difficulty. It will remove all challenge from the game, but at least fun can be had during the numerous combat sections. 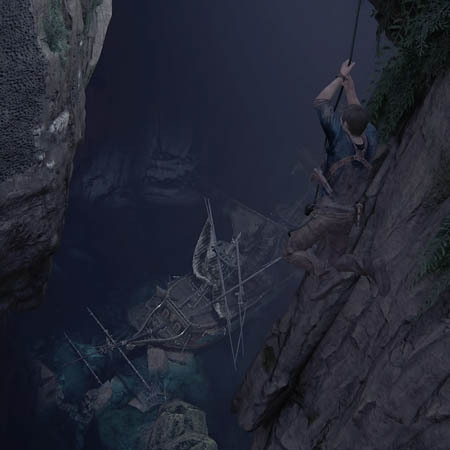 In fact, Uncharted 4 has always been a game experience that holds the player’s hand. I am giving this title a 4.5 out of 5, because I personally enjoy the one-time, movie-like experience provided with this series. 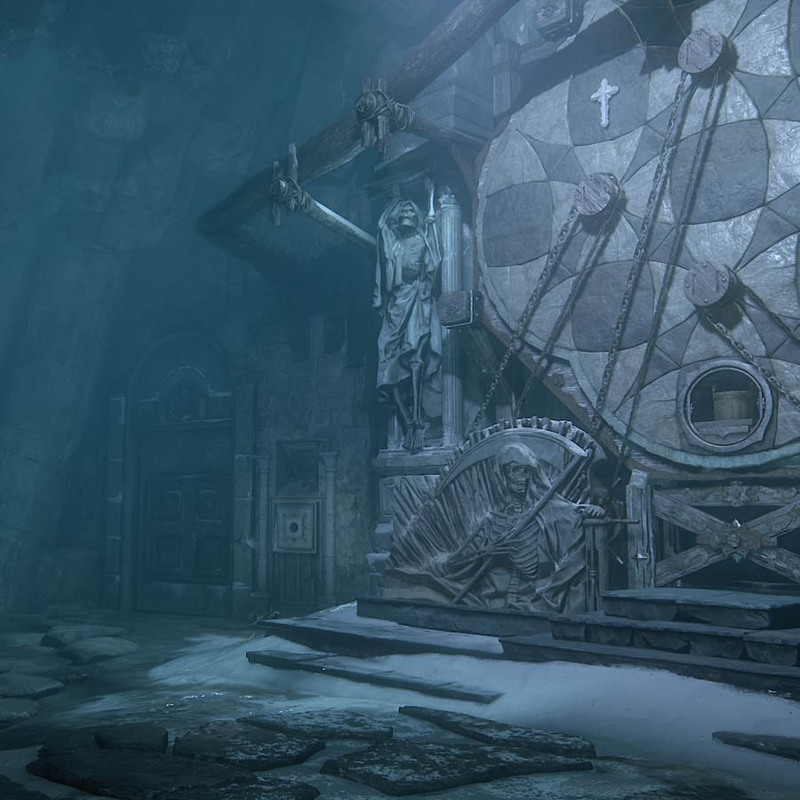 I can absolutely see a player into challenging, skill-based games like Bloodborne hating this type of adventure. Uncharted 2: Among Thieves was one of my favorite games of the last generation because it was perfectly paced, didn’t beat you over the head with combat, and provided for a bit more player experience. With the fourth game in the series, it feels like there is too much difficult (but not satisfying) combat again. If you remove the gorgeous graphics and sound design, the game is actually pretty guided and dull. But it is the sum of its parts. As someone who enjoys writing editorials, I can get a bit hyperbolic at times. That being said, make no mistake that Uncharted 4: A Thief’s End is the best looking game. EVER. I can’t think of scenario in which someone could disagree. Character modeling. Animation. Environments. Backdrops. Lighting. Fire/water effects. You name it, Naughty Dog did it better. Uncharted 4 is a breathtaking game. Very rarely do graphics or aesthetic spill into gameplay. Uncharted 4 looks and animates so well, it almost makes it that much more fun to play and enjoy. One of my favorite new aspects (introduced last year with the Uncharted: Nathan Drake Collection) is the hidden “Photo Mode.” By going into the menu by pressing “Option,” you can enable this mode. Pressing both analog sticks in will allow you to freeze the action, move the camera, apply filters, and more. You can then save the screenshots to your hard drives, share via social media, or slap on a flash drive through the PS4 Capture Gallery. Want proof of how robust and cool it is? Every screenshot you are seeing on this review — even the featured image — was taken by me during gameplay, using the Photo Mode. 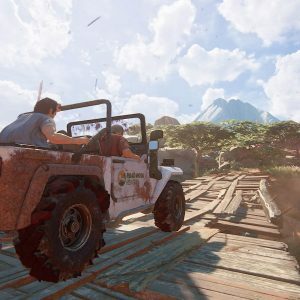 Uncharted 4 is a fitting addition to the series and a great way to (hopefully) end the series. While I still maintain that Uncharted 2 is the best game in the series (and one of the best games I have ever played), I think that Uncharted 4 is a close second. If you like gorgeous action games with big set pieces, this is going to be your game. Before wrapping up this review, I wanted to quickly touch on the ending of the game and how I felt about the way the series wrapped everything up. I’m actually really glad that the developers didn’t kill any characters off with Uncharted 4. These characters were staples of the series, and to not have to watch that scene where Victor Sullivan is tragically shot on his last tour of duty was welcome. The Crash Bandicoot gameplay segments both hint at a reboot (barf) and provide some interesting insight into the nature of games. They haven’t really changed over all these years, but the graphics and set pieces have certainly gotten better. The Toy Gun scene in the attic was one of the coolest moments in the game. Teaching the play how to switch weapons, take cover, and adapt to the environment in this way was brilliant. No freaking aliens, zombies, or extraterrestrial beasts. I was getting really tired of seeing them in absolutely every installment. The final battle was also perfect. Most bosses in the series are awful shootouts or bullet sponges that just simply don’t fit in a game like this. The irony is that the simple sword fight with Rafe was probably the best the series has ever done. The whole experience started to feel like a crazed fan fiction by the end. Elena is happily married to Nathan Drake. Nathan has a brother who is now best friends with Victor, and they go on adventures. Nathan and Elena have a child who is also into adventuring and travels with them on their excursions. I can practically see the obsessed fan dropping the pen and submitting the draft of this to Druckmann as I write this. Did you have the same thoughts or different thoughts on the game or the game’s ending? Let your comments be known below!